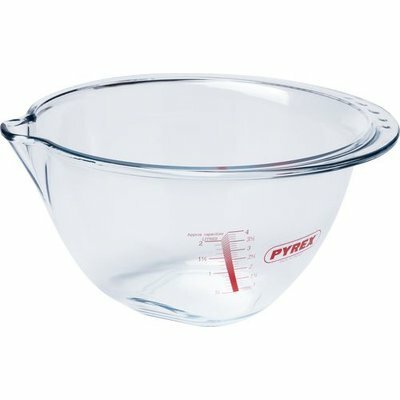 The Pyrex Expert Bowl was designed to simplify all the many little techniques that make the difference. It is perfect for all steps, from mixing to pouring; for all kinds of mixtures, whether thick or thin; and for all kinds of cooks, novices or experts... whether they are right- or lefthanded. Borosilicate glass: can be placed in the oven (for rising dough) or the refrigerator. Wide pour spout: ideal for thick and thin mixtures.